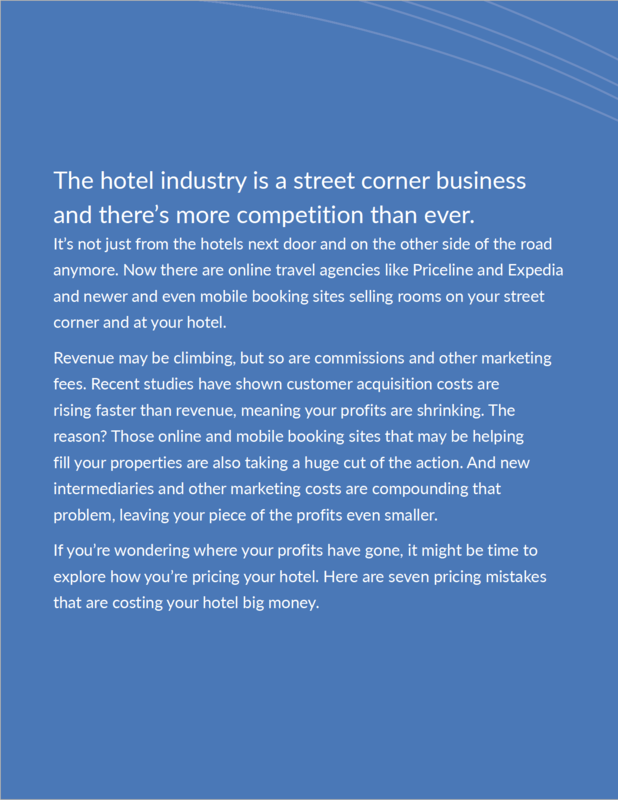 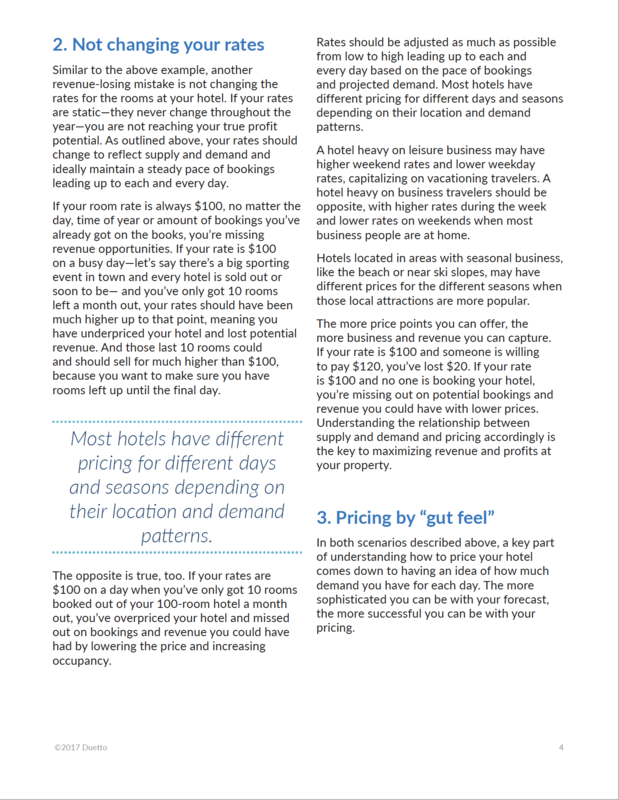 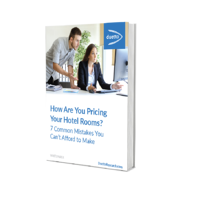 Whitepaper: How Are You Pricing Your Hotel Rooms? 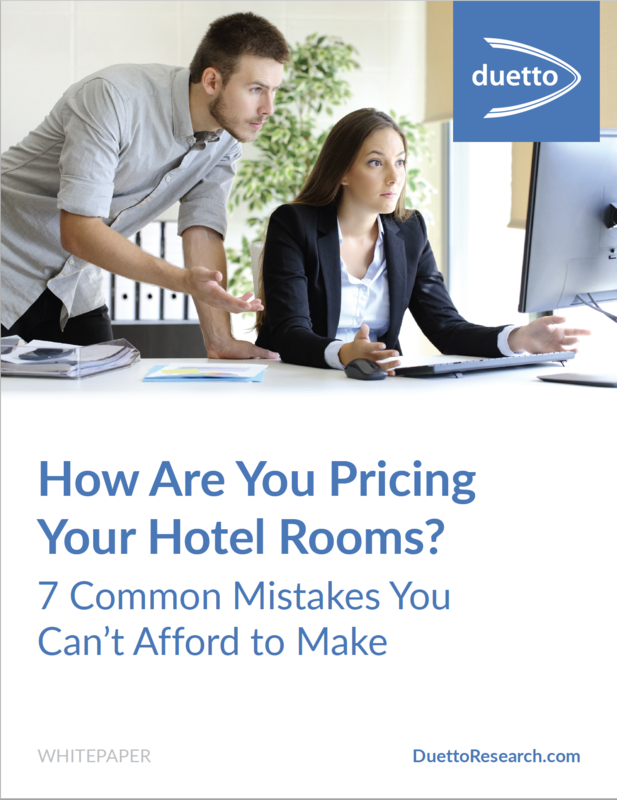 If you’re wondering where your profits have gone, it might be time to explore how you’re pricing your hotel rooms. 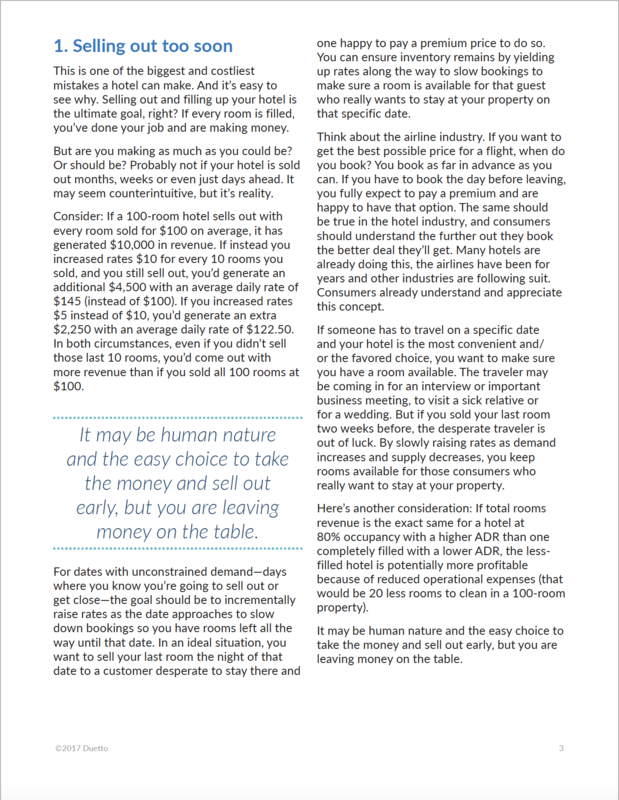 For example, selling out your hotel sounds like the ultimate goal, but if you do it too early, it can be one of the costliest mistakes you can make.